I've seen this look a few times on Pinterest and wondered if I could pull it off. What do you think? I have to say I like it but I'm not 100% convinced by it .. I can't work out why. The key to making this work is a tighter top half to compensate for the baggy bottom. 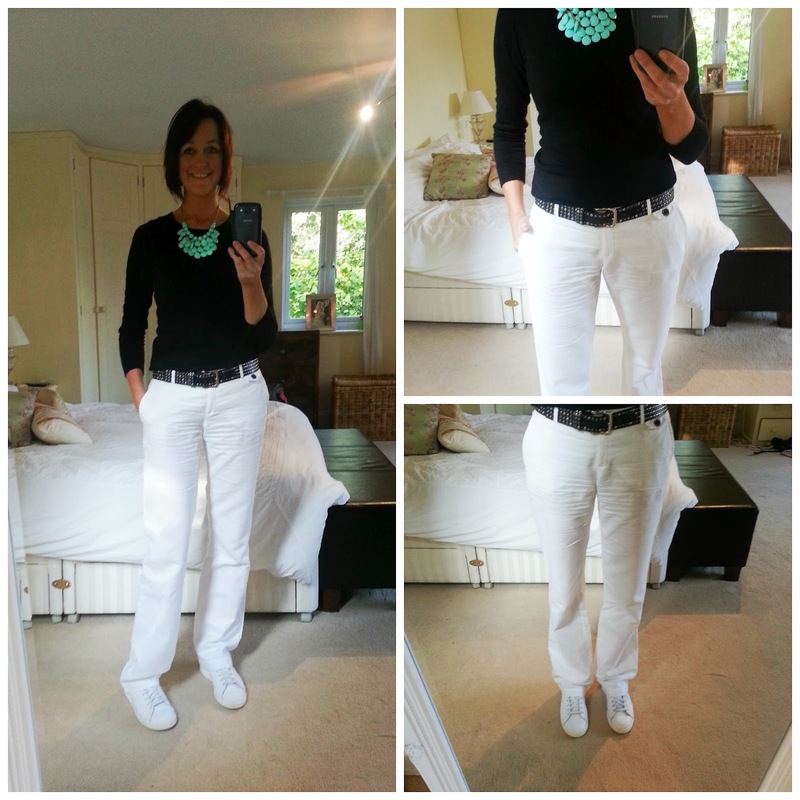 I wonder if black trousers would look better? Trainers, I told you I wouldn't be able to take them off once I bought them are so comfy (and stylish, even if I do say so myself). 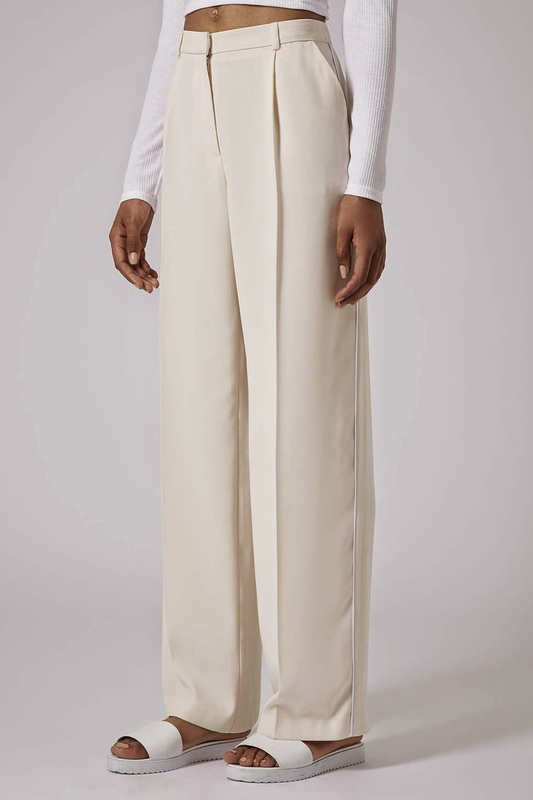 Where to buy white linen trousers? 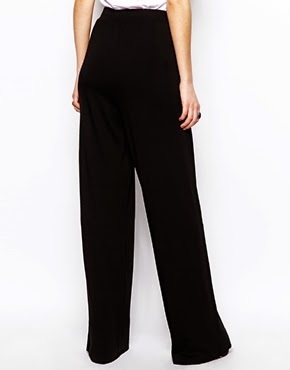 Wide leg trousers and trainers - yes or no for you? Believe it or not this works but I would change one thing - the necklace. A simple small chain to pare it back a little more. But that's just me. And what I would give to have legs as long as yours! I didn't have the necklace on at first at thought 'that's a boring outfit' - I should have stuck to my long metal chain that's more delicate. THANK YOU!!!!! Lovely compliment thank you - it was an easy to put together and wear outfit for school run/work/home (did remove trousers for leggings when I got home and was eating spag bol for tea)!!! 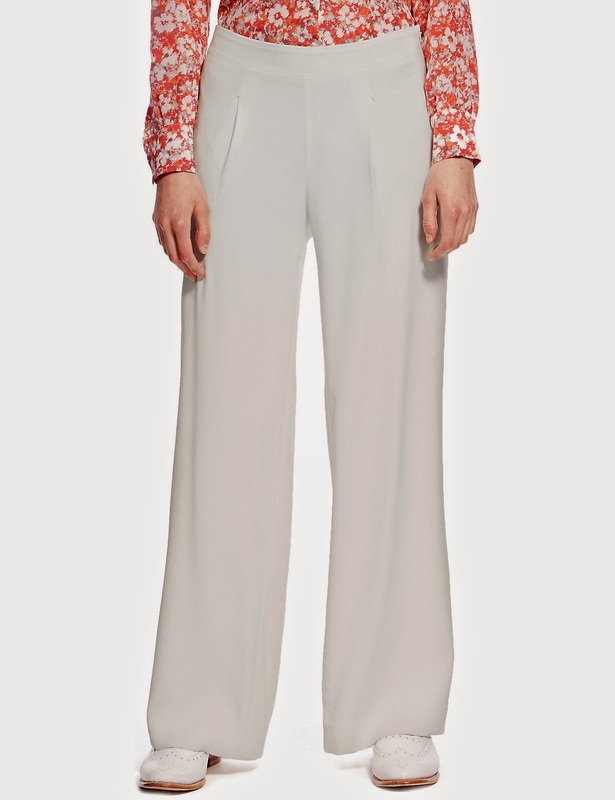 I love this look, would wear with a shirt for slightly more tailored look and would definitely try with darker trousers!